President Trump has tapped a new acting head of the Office of Government Ethics, prompting criticism from the agency's previous director who resigned this week after clashing with the White House on ethics issues. 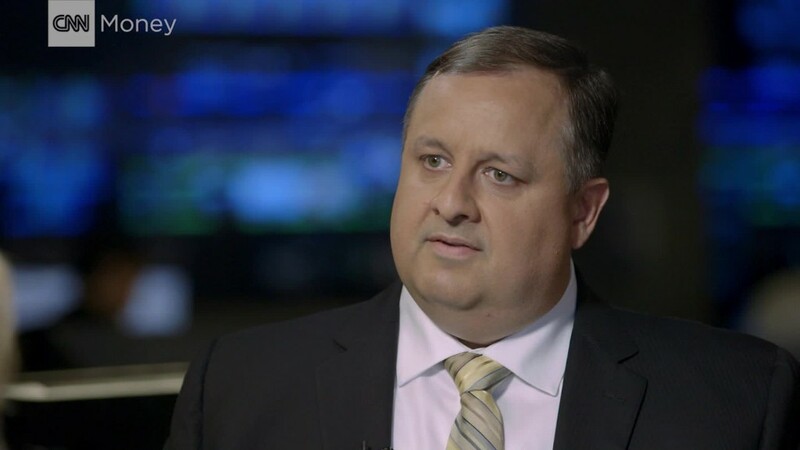 "It's unfortunate that the White House decided to play politics with the interim director role," Walter Shaub, who stepped down on Wednesday, said in a statement. Trump has picked David Apol, who has served as OGE's general counsel since 2014, to lead the department until he selects a permanent director. In doing so, he passed over Shelley Finlayson, Shaub's number two, was in line to be acting director. The Office of Government Ethics, which helps administer the executive branch's ethics program, has seen its profile heightened in recent months. Shaub frequently clashed with the Trump White House. In January, Shaub criticized the president's decision to not sell his business holdings. In March, he spoke out against the White House's decision not to punish Kellyanne Conway after she plugged Ivanka Trump's products in a TV interview. And in May, Shaub tangled with the White House over the release of ethics waivers that were granted to staffers. "I resigned because I've achieved all I can in this job in the current circumstances," Shaub told CNNMoney earlier this week. Apol has spent his career involved in government ethics. In 2014, when Apol was sworn in as OGE's general counsel, Shaub called him "a gifted legal professional with a deep understanding of the federal ethics rules and an appreciation for the core principles underlying them." 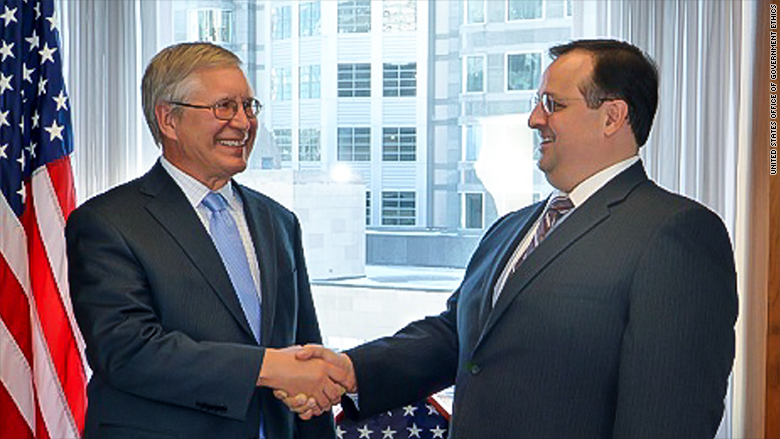 Former OGE director Walter Shaub, right, shakes hands with David Apol, Trump's new pick to lead the department. He was appointed general counsel of OGE in 2014. He had previously served as the chief counsel for administrative law at the Office of the U.S. Trade Representative. Despite Apol's government pedigree, some ethics experts are concerned about his appointment. They say the White House's decision to appoint Apol oversteps the natural order of succession. "There is a procedure by which the deputy director becomes the acting director. So they really reached over the current deputy director ... and that is concerning," said Larry Noble, general counsel for the Campaign Legal Center, a nonprofit, nonpartisan ethics watchdog organization. The worry, Noble said, is "whether or not they think the person they selected is going to go easier on them." Shaub echoed a similar concern on Friday. "David's approach to interpreting ethics rules is looser than Shelley's," he told CNNMoney. "...The president is free to select whomever he likes for the position of director. But if he has someone he likes, he should formally nominate that person so the senate can ask the nominee how he would address the administration's ethics problems."